This shirt is currently unavailable. Please stay tuned for updates on this page when it becomes available again! This fun "Secret Squirrel" T Shirt is everything you need to go undercover. 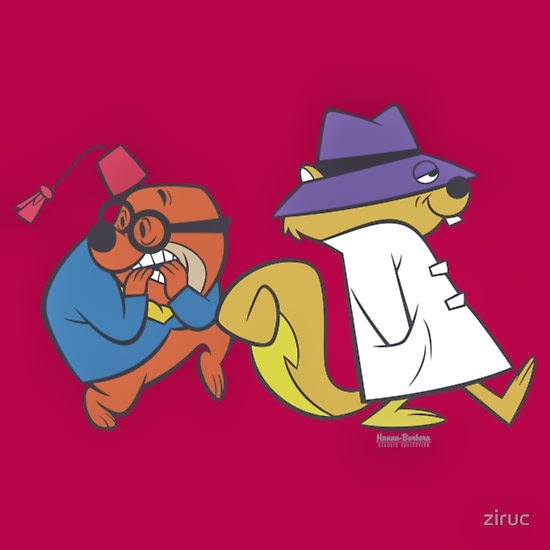 Secret Squirrel and Morocco Mole are cartoon characters created by Hanna-Barbera, whose show "The Atom Ant/Secret Squirrel Show" debuted in 1965.